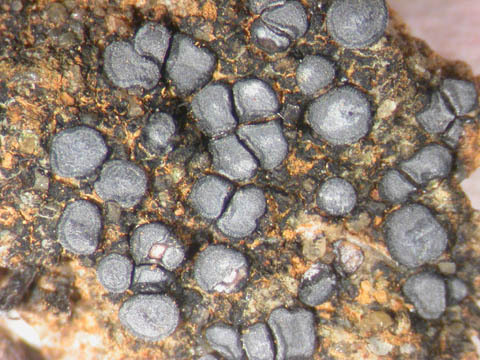 Acarospora glaucocarpa (Ach.) Körb. var. conspersa (Fr.) Th. Fr. On calcareous rocks in natural and artificial habitats. Lit. : Diederich et al. (2006).